March Madness is something unlike any other sport can offer and is the ultimate playoff for college basketball. Because the players are all amateurs, collectors normally cannot collect anything official for several months or even years. However, given the nature of the sport, the coaches tend to take on a bigger share of the recognition because they are one of the few mainstays. With that in mind, we look at the collecting options for sixteen of the top head coaches from the 2015 NCAA Tournament. 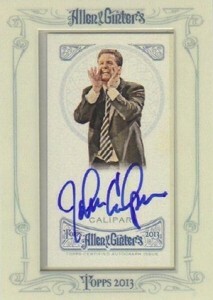 Because of the understandable focus on star players, coaches are a not normally a huge draw for collectors. However, the college game is a little different and although there are not a ton of card choices, every coach has at least a few different cards available. While it is not the case for all the coaches, many of the men shown below played college basketball and several played in the NBA. This helps increase the card totals. Also, college coaches were heavily covered in a few products, including 2010 and 2011 Upper Deck World of Sports and 2011-12 Fleer Retro and SP Authentic. Click on the coach's name or image to shop for cards on eBay. The head coach for Notre Dame since 2000, Brey has the Fighting Irish in regular playoff contention, including a trip to the Sweet 16 in 2003. 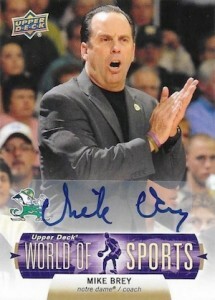 Brey was named the AP Coach of the Year in 2011 and led Notre Dame to the 2015 ACC Tournament title. Another lifelong coach, Thad Matta has enjoyed good success at Ohio State since he started in 2004 following a short, but notable, stint at Xavier. The team has made two Final Four appearances under his watch and reached the title game in 2007 where they lost to Florida. 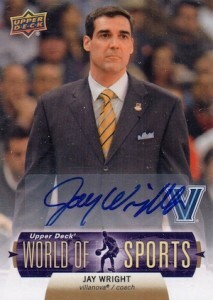 The head coach at Villanova since 2001, Jay Wright has guided the Wildcats to four Sweet 16s, two Elite Eights and one Final Four. 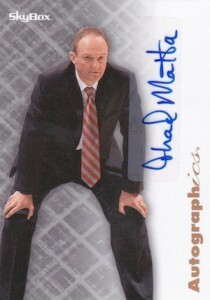 Wright was named the Naismith College Coach of the Year in 2005. Few schools can match the rise of Gonzaga basketball and Mark Few has dominated the West Coast Conference since he was named the head coach at Gonzaga in 1999. With Few running the show, Gonzaga has become a major player in college basketball despite falling under the mid-major designation. This includes four trips to the Sweet 16. 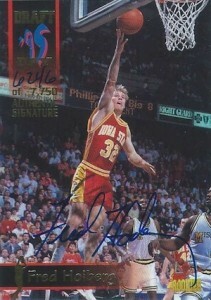 A college star at Iowa State who also spent several seasons in the NBA, Fred Hoiberg came back to his alma mater in 2010 to coach the Cyclones. The team has done well since then, reaching the NCAA tournament in four straight seasons and taking one trip to the Sweet 16 in 2014. No, not the famed singer. The other Tony Bennett is the coach at UVA and has quickly turned the Cavaliers into one of the best teams in the nation. A visit to the Sweet 16 in 2014 means expectations are high in 2015. 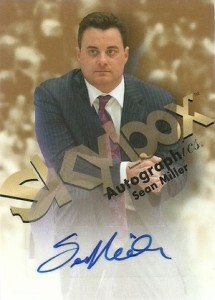 An accomplished coach at Xavier and Arizona, Sean Miller helped re-establish the winning ways for the Wildcats. After going to the Sweet 16 in 2013 and the Elite Eight in 2014, Arizona and Sean Miller are expected to make a push for the title. Bob Huggins is best remembered for his time with Cincinnati. 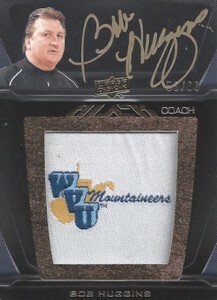 Before coaching, Huggins played college basketball at West Virginia University and he returned as the head coach at WVU in 2007. One of the top active coaches in career wins, Huggins remains a notable name in college basketball. 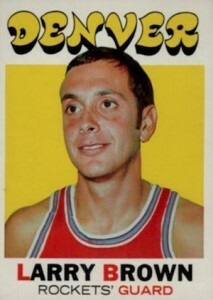 One of the greatest coaches across all levels, Larry Brown started his career playing at the University of North Carolina before playing professionally in the ABA. Following his playing career, Brown coached multiple college and NBA teams, notably winning the NCAA title in 1988 with the University of Kansas and the NBA title in 2004 with the Detroit Pistons. Now with Southern Methodist University, the Hall of Fame coach has helped to quickly turn around the program. 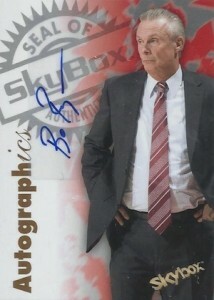 The head coach at the University of Wisconsin since 2001, Bo Ryan has made the Badgers a fixture of the NCAA Tournament, including five trips to the Sweet 16, two Elite Eights and one Final Four appearance. 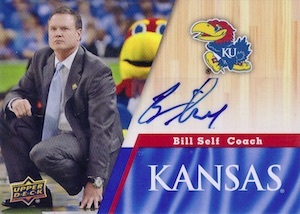 After notable stints at Tulsa and Illinois, Bill Self has been the head coach at the University of Kansas since 2003. The Jayhawks have been one of the best teams in basketball during that period and were the champions in 2008. Bill Self was named the AP Coach of the Year in 2009. Known as "Mr. March" because of his NCAA tournament success, Tom Izzo has been the head coach for Michigan State since 1995. Izzo has amassed six Final Four appearances and a title in 2000. The 1998 AP Coach of the Year, Izzo is one of the biggest coaching names in college basketball. Whether you love or hate his system that encourages "one and done" athletes, John Calipari is a proven winner at the college level. After successful runs at UMass and Memphis, Calipari has revitalized the University of Kentucky basketball program. Following a title in 2012, Calipari has his sights on another in 2015 and Kentucky is undefeated heading into the tournament. 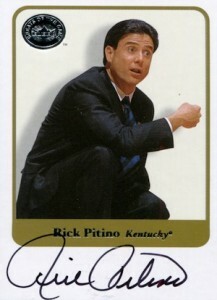 Another college coaching giant, Rick Pitino put forth tenures in the NBA and at Providence College and the University of Kentucky before joining the University of Louisville in 2001. Pitino won his first title with Kentucky and added a second with Louisville in 2013. An important figure at two major college basketball programs, Roy Williams started his head coaching career at the University of Kansas before taking over at the University of North Carolina in 2003. 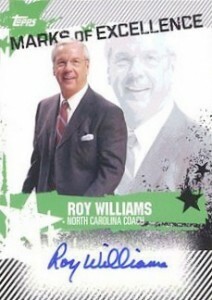 Williams brought two more titles to UNC since then and is regarded as one of the greatest coaches at the college level. 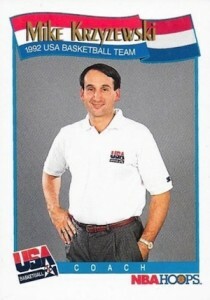 Last, but not least, Mike Krzyzewski may as well be the face of college basketball. The head coach at Duke University since 1980, Krzyzewski has made the Blue Devils one of the preeminent programs in college basketball and has won four NCAA titles in addition to many deep tournament runs. "Coach K" is considered my many to be the greatest modern modern and one of the greatest of all-time.